Should Opera Go Back to the Future? “A History of Opera” inspires an exploration of select challenges facing opera — and half in jest suggestions for how those issues might be addressed. Opera audiences adore Verdi’s La Traviata, Bizet’s Carmen, and Mozart’s Die Zauberflöte (three of the most commonly performed operas in the world*) — this in spite of the fact that all are products of a distant European past. Their persistent popularity begs the question: Would modern-day audiences also appreciate the relative freedom that operagoers enjoyed in the days that those operas were first performed? And what else might producers and directors do to make this enduring art form accessible to a wider audience? For starters, one should know that opera performances weren’t always the stuffy, solemn engagements they are today. They were social events in which ticket holders were free to eat, talk, and move about, and paying attention to the stage was optional. As Kim Thompson notes in her comic animated film All the Great Operas in 10 Minutes (1992), the problem with opera is “You’ve got to dress up, they take hours, and there’s all … that … singing.” Perhaps it’s scandalous to suggest, but should opera houses permit — or even encourage — eating, drinking, and texting, not to mention the use of iPads? Another thing: A quick review of opera’s greatest hits makes it clear that audiences appreciate formulaic plots that feature liberal amounts of violence. So why do new commissions aim to be serious and sophisticated, with librettos commonly inspired by works of great literature? The most popular operas are about “people in costumes falling in love and dying,” quips Thompson. Wouldn’t it make more sense for librettists to draw their inspiration from trashy novels and Lifetime movies? 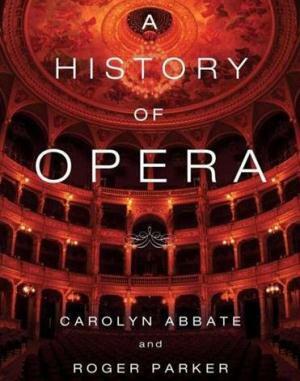 With this in mind, I interviewed Carolyn Abbate — co-author, with Roger Parker, of the insightful new book “A History of Opera” (W.W. Norton), the first new history of the subject since Donald Grout’s “A Short History of Opera” (1947). Among other things, Abbate and I discussed why expectations for new commissions are so high, and why new operas rarely succeed in finding a place in today’s repertoire. In what ways is opera thriving and in what ways is it in crisis? Opera is thriving in the sense of being performed. There are immense numbers of performances, [which are] more literate, more interesting, more visually stunning, and more thoughtful than ever before. Opera is the one classical music genre that still more or less fills houses and has a slightly younger audience coming in. Audiences aren’t just late middle age to elderly, which is what you get at string quartets. The tricky [part] comes when you are talking about what the commissioning of new operas means in contemporary society — and the fate of these operas in the world. There are new commissions and it’s amusing sometimes to see the theatrical grandeur that surrounds them and how the opera houses take tremendous pains over these things. There is a whole discourse about it and how virtuous the opera houses are and how marvelous it is that they are trying to discover the next great operas. But there is a disconnect between the [notion] that every work is eternal — which is now bred into us because we still perform Mozart and Wagner — and what actually happens. There is this expectation that every piece that is written has to attain this pedigree of persistence in the repertory. But I don’t think there is anything wrong with commissioning lots of pieces in the expectation that numbers of them will not last. That has always been true of opera. In the eighteenth century it was assumed that nothing would be performed for more than one or two seasons. What challenges do new works face in terms of competing with those that are well-established? Writing new opera has always grown out of the culture around it. The great works that we are now playing over and over again came out of a European culture that no longer exists, one completely different from our culture. There is a sense that only certain kinds of cultures at certain historical times can produce works that transcend the time in which they originated. It just so happens that eighteenth- to early-twentieth century Europe was a time and place that seems to have produced enduring operatic works that people still want to hear. Maybe we shouldn’t expect post-twentieth century America — which is as far away as you can get from nineteenth century Italy — to produce enduring works of grand opera. We do things now that persist in genres that didn’t exist in the nineteenth century. Why do new works have trouble gaining traction? Partly it’s because composers tend to compose in a certain musical language. They are not going to go back to a melodic style that was current a hundred years ago. We talk about this in the book, but [in the 1930s] contemporary opera composers abandoned the idea of formed melody in favor of a kind of musicalized speech that is much more free form. This has become the default mode for new operas. But the loss of melody means a loss of popular appeal. If you can accept this it’s fine. You can say: We’ll write these kinds of operas and let’s accept a certain part of the audience will really love them, but there won’t be a clamor for them to be repeated because they don’t supply the same kind of pleasure that earlier opera did. That pleasure is an important component — the pleasure of these great melodic arcs sung by marvelous voices. [Another issue is that] there is a mismatch or lack of meshing between the classic operatic voice and projection that opera singers use and the kind of music that contemporary composers are writing. But part of me wants to say: Why should we worry about traction? If we’re culturally optimistic we should just keep commissioning these things and see what happens. And maybe they are ephemeral. Maybe they exist for just one season. Earlier you mentioned that there are more young people at opera performances as compared to the symphony or string quartets. Why? It’s partly that opera isn’t just music. It’s also a visual and theatrical experience. I have teenaged sons, and I ask, “What’s the difference between a [popular music] concert and the opera?” They say the difference is at the opera you have to be quiet and you can’t move. But that wasn’t always true. Two hundred years ago no one was required to be attentive and focused. It was routine for people to talk amongst themselves. They could go in and out whenever they wanted. And eating was allowed in boxes, as was gambling and chess playing. It was a social occasion that happened to have something going on at one end of the room that you could pay attention to if you wanted to. It’s almost entirely due to Wagner. He was the first to declare that the auditorium had to be pitch dark. At Bayreuth [which opened in 1876], he imposed all kinds of other religiosity on the experience — like having to be absolutely quiet. He talked about how people had to be utterly attentive to the stage world and not each other. He erased the social function of opera. Other composers thought this was a good idea too. And gradually — in step with lighting technology — it seeped outward, and by 1910 or so it was the norm in most theaters. Mark Twain wrote wonderful essays about being at Wagner’s theater at Bayreuth and he talks about how flabbergasted he was that everyone was so quiet. What would be brilliant is if an opera company or directors and producers tried to re-create [the social aspect of performances]. That’s artificial — maybe it shouldn’t happen — but I suspect then the audience for opera would get younger if it was slightly more unruly. The New York Philharmonic has done some semi-staged performances where the orchestra sits on the stage but the singers are in front and they walk up and down the aisles and use the audience space. The lights are up in the audience and you can read. And they allow you to bring water to drink. When I am at those performances, which are a little bit freer, the audience age plummets. Another interesting thing you point out in the book is that many of the works that are popular now are more revered today than they were at the time they were created. There are certain things that were beloved from moment one. Carmen is the classic case. It was clear after six weeks that they had a hit on their hands and they never looked back. Then you can point to other things that were beloved when first performed — [Mozart’s] Le Nozze di Figaro and Don Giovanni — but then they were gone. It was only after a decade or two passed that everyone started to realize what they had. There are also stories of operas that were spectacularly successful at the time they premiered and had thirty or forty year runs of thousands of performances and then dropped off the radar. That’s what is interesting to me: Why did those things that were so beloved go away? Perhaps that’s a good segue into talking about Giacomo Meyerbeer, who was beloved in his time but virtually unknown today. Meyerbeer’s performances were social occasions. 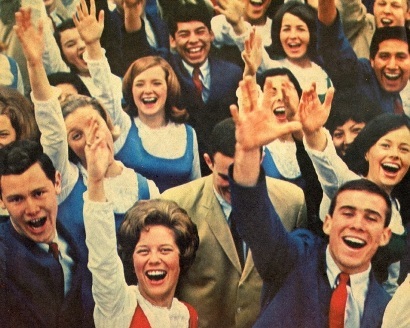 People didn’t pay attention the whole time, often choosing and sampling the parts that they loved. On the other hand, those operas were performed thousands of times for a certain stretch. Part of why Meyerbeer is not done now is that the expense to musical virtue ratio is extremely high. It’s expensive to produce Wagner, but the music you are producing is overwhelmingly marvelous. With Meyerbeer you would have to spend huge amounts of money — especially on singers — because Meyerbeer wrote for multiple starring singers, and the musical payback is less. In his case cultural anti-Semitism got in the way at the end. Once he died and he wasn’t there to support what he had done, that also accounted for the drop-off in performances. 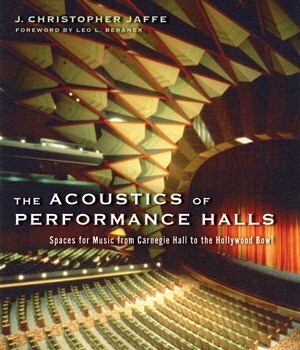 Towards the end of book [p. 524] there is a list of contemporary operas that were high-profile disasters. Is there one on that list that sticks out for you? A little bit tongue in cheek we went for the highest profile, highest pedigree pieces that really sank, partly under the weight of the unreal expectations. What stands out for me on the list is that it may be problematic that composers are so grandiose in their source of libretti. Why not go for the tawdry things? If you look at what Verdi and Wagner used there are some great literary works but often they took things from sources that second-rate theaters would be doing — melodramas, pulp fictions, mass produced popular novels. There is a tendency in this production machine of contemporary opera to want to wring every last ounce of seriousness and gravity out of the situation and that is often problematic. Great literature doesn’t necessarily make a great scaffold for an opera. *The first-, third-, and fourth-most performed operas over the course of the past five years — per operabase.com. 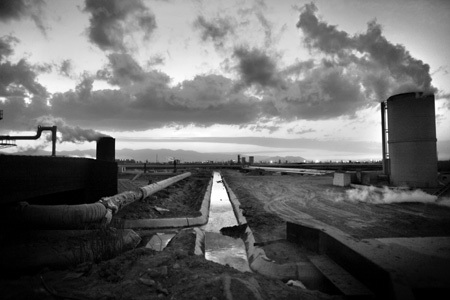 Downstream: Death of the Mighty Colorado—Brian Frank’s award-winning photo essay chronicles the effects of overuse and pollution on the Colorado River. 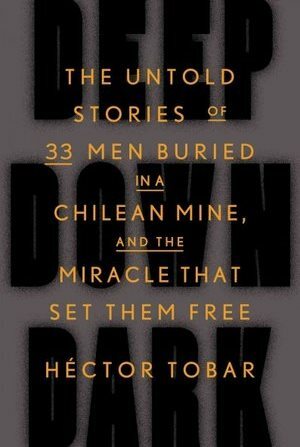 Deep Down Dark—Hector Tobar on ‘The 33’ Chilean miners who spent sixty-nine days trapped underground.